The controversial move to make codeine prescription-only has had no effect on the rate of prescribed opioid use. A study by Monash Addiction Research Centre has tracked opioid prescriptions across three years — two before the restriction and one after. Its research shows that in the 12 months following the restriction, there was no increase in opioid prescriptions. 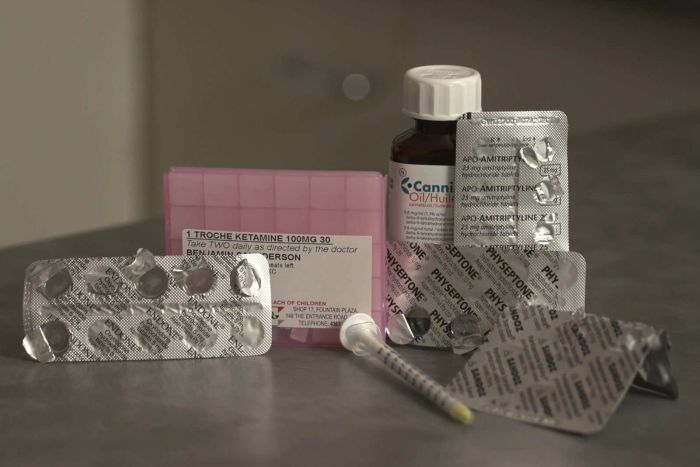 “When we looked at overall prescribing, so for weak opioids like codeine and strong opioids like oxycodone in Australia, those trends are actually coming down,” Associate Professor Suzanne Nielsen told 7.30. The restriction was introduced last year in an attempt to help curb the rate of opioid-related death. The Pharmacy Guild of Australia’s Anthony Tassone says pharmacies in general have seen an increase in PBS-subsidised codeine. 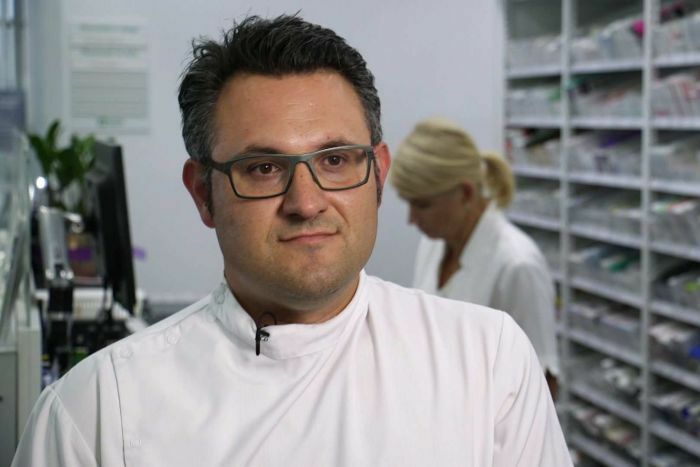 Anthony Tassone from the Pharmacy Guild of Australia disagrees, saying there has been a rise in opioid prescriptions. “At the time the Pharmacy Guild and many of our members felt that up-scheduling codeine for all-strength was a blunt instrument,” he told 7.30. “What we have seen, not only in my pharmacy, but pharmacies in general, there has been an increase in PBS-subsidised codeine. He says that prescriptions in his pharmacy are being filled at a higher dosage because over-the-counter codeine is no longer available. “That’s a higher dose that you get on a prescription since codeine has been made prescription-only.” he said. Opioid deaths in Australia have doubled in the last decade, and the restriction was intended to try and help prevent an opioid crisis similar to what the United States is currently experiencing. “More people die from prescription medicine overdose each year than illegal drugs and the road toll,” Mr Tassone said. In the US, opioid-related harm has reduced life expectancy to levels not previously seen in peacetime. Professor Nielson says Australia’s rate of opioid use is six years behind the United States. Ben Saunderson, 43, takes prescribed opioids to treat his chronic back pain from a spinal cord disorder called arachnoiditis. Part of that treatment was taking over-the-counter codeine. “We are losing alternatives, this can’t be part of the regime … let’s be proactive” he said. He said the introduction of codeine restrictions was a catalyst for him to seek out alternative, non-opioid pain treatment. “It was what got the momentum going to start thinking differently,” he told 7.30. He said the new alternative treatments have reduced his prescription opioid intake and allow him to be “a better dad”. “My new therapy is ketamine infusions around twice a year … ketamine jelly … Endone [oxycodone] for breakthrough pain … methadone at night … and I’m using medical marijuana,” he said. 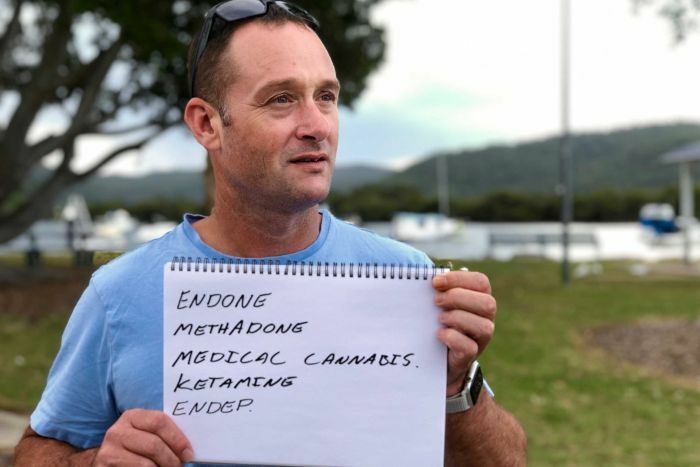 However, despite what he sees as the positives of lowering his opioid medication, Mr Saunderson would still like the ability to buy codeine over the counter. Associate Professor Nielsen says people like Mr Saunderson may find better, safer treatments as a result of the codeine restriction, but there’s no research to indicate that just yet. “Both the medical profession and the general public have the perception that opioid medication was safe,” she said. Mr Saunderson acknowledges the risk but says he liked being able to have choice. “I take my medication to improve me and to improve my quality of life … being able to go shopping, being able to walk, drive a car, to take the kids to the park and interact with the children,” he said.